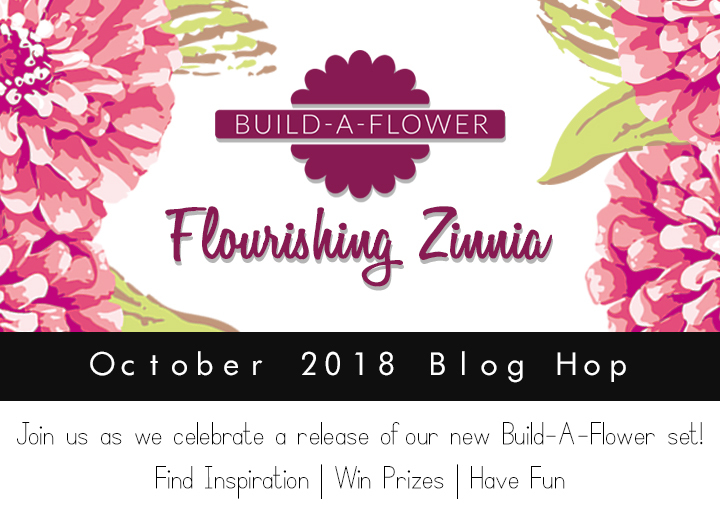 This month, we are introducing the gorgeous Build-A-Flower: Flourishing Zinnia! This stamp set features a flourishing zinnia elegans flower with five layering pieces to achieve a beautiful, detailed result. Zinnias come in a variety of colors so you can pick your favorite Altenew inks from pinks, reds, and purples, to greens, yellows, and oranges. In addition to the main flower, you can use the layered leaf image to complement your design and an encouraging sentiment to finish your card. 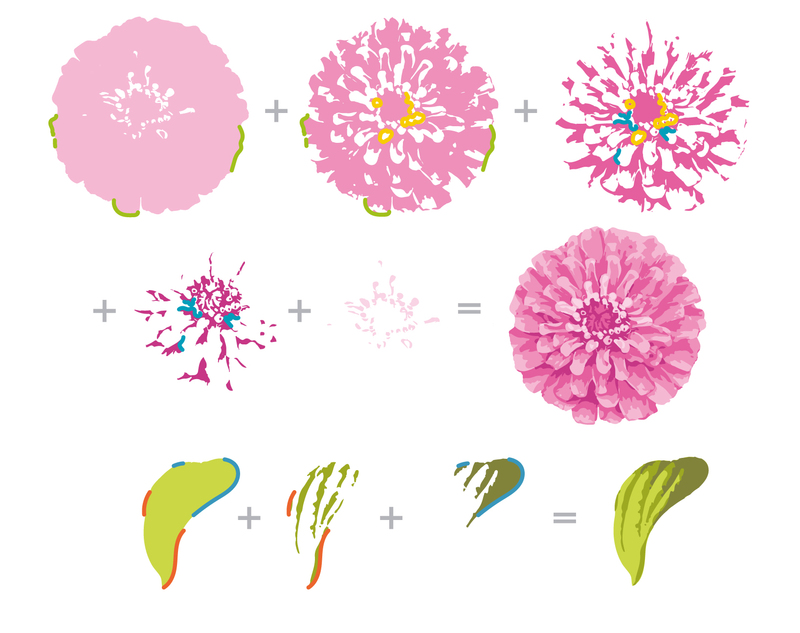 We also have a very special Build-A-Flower: Flourishing Zinnia and Ink Bundle to make it easier for you to start creating beautiful projects. Get the bundle and save 5%! Want to take a closer look at this beauty? Watch the product intro video below or in HD on YouTube. To celebrate this special release, we are giving away a $30 gift certificate to SIX lucky winners! 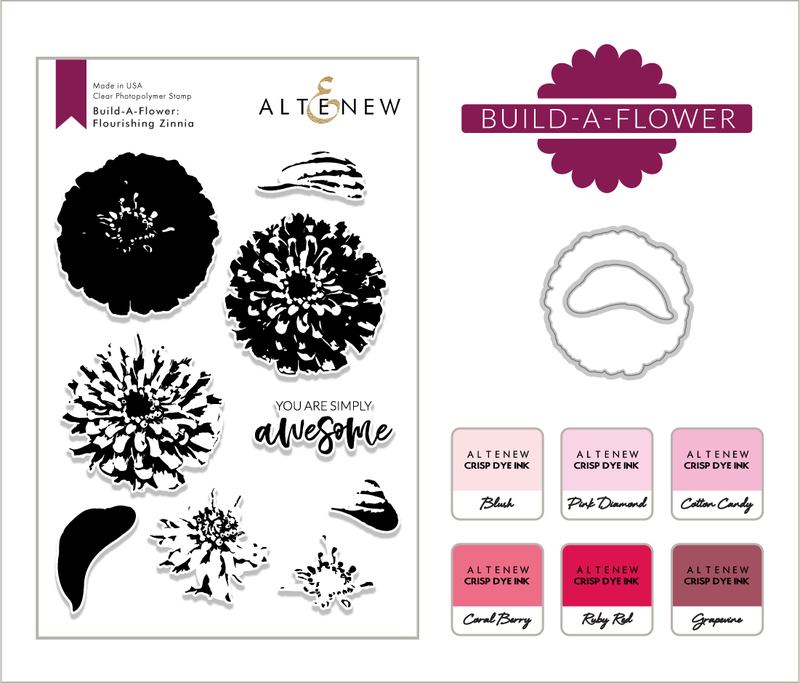 Please leave a comment on the Altenew Scrapbook Blog and/or here on the Altenew Card Blog for a chance to win. Six winners will be announced, three on the Card Blog and three on the Scrapbook Blog, on Friday, October 9th. We are celebrating this release with a fun blog hop! Some of our talented design team members and special guest designers have created stunning projects to spark your creativity using the new Build-A-Flower: Flourishing Zinnia. We hope you love what they have come up with! Your next stop is the incredibly talented Virginia Lu! Zinnias are among my favorite flowers. Thank you for such an amazing product that makes stamping them a breeze! And it seems to be very versatile. Can’t wait to order mine! Another amazing floral set from Altenew! LOVE these gorgeous zinnias! 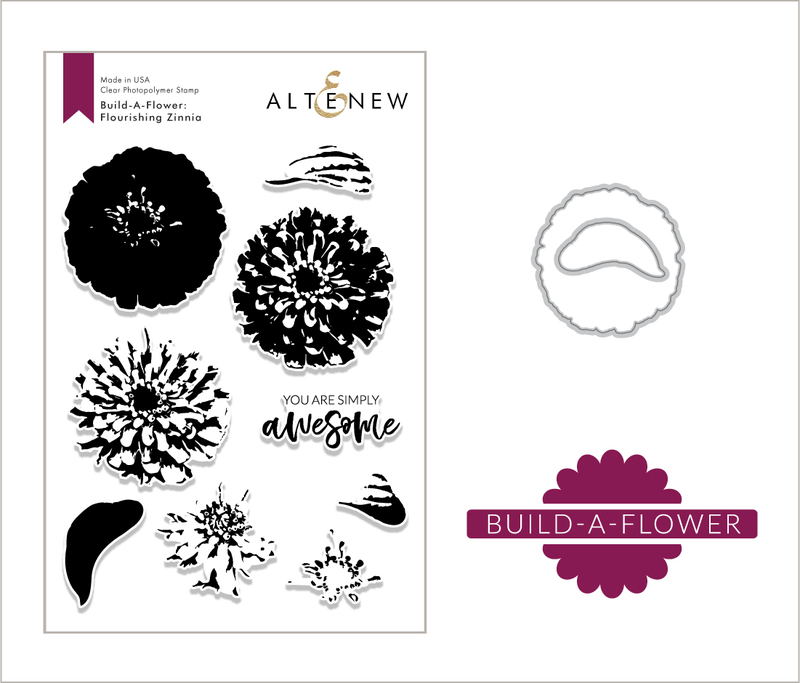 Beautiful addition to your build a flower line. I like Zinnia’s a lot, especially the yellow ones. Yellow is my favorite color in the whole wide world! We have some in our yard that are re-blooming because we had some warm weather & lots of rain. Your build a flower stamp would go with my flowers outside & I would love to add them to my collection of flower stamps! Thanks for giving is the chance to win something! I love your stamps! My goodness, you just keep on coming and coming with these amazing releases! Do your designers ever sleep? I love how the layers bring this flower to life; it’s hard to do with really circular flowers like this, but, as always, you manage it. I can’t wait to see what the DT does in the bloghop! Such a beautifl new stamp set! The stamps for the center of the blossom make all the difference to me, amazing effect! Love the zinnias! So pretty. Another wonderful BAF release. I love the zinnia. It’s so realistic looking. I’ve never been disappointed with my Altenew layering stamps and this looks like another winner! Oh my I love this set!! Flowers are my weakness! As always your flower stamps are gorgeous. Love the zinnias. I’ve had zinnias in my garden for years. and enjoy the riot of colors all summer. As soon as I saw this set I knew I had to have it! I ordered the bundle with inks. I can’t wait to play with it. I love how this new build a flower set captures the fullness of the Zinnea. Such a beautiful flower and they can be stamped in so many different colors. I always look forward to the BAF sets each month. They make stamping a breeze and make me look like a great card maker! LOVE, LOVE, LOVE ALL of your products !!!! Can’t wait to try the new watercolor brushes. The zinnia stamp set is wonderful. The flower looks so real !!! Just amazing how your staff comes up with some of the most gorgeous flower stamps/dies. Your products are so easy to use. This is such a pretty flower with so much dimension. I love it! Thanks for the beautiful inspiration! This is such a pretty flower with so much dimension. Love It! Thanks for the beautiful inspiration! This zinnia is stunning and looks so real! Thanks for another gorgeous flower set.